I got home last night to find that my hamster's cage was open, the critter had escaped, and was nowhere to be found. I set out some food and drink to lure it back to home base, but as of getting home from work today it had clearly not come by. This evening I worked up the nerve to print off signs to put around the apartment building in case anyone had spotted it. I had to add the line about it not being a joke, because I think I'd have found it pretty funny if I had come across such a sign. As I was putting the signs up, as luck would have it, I bumped into the landlord, who was in the process of trying to figure out who was putting up these crazy signs. 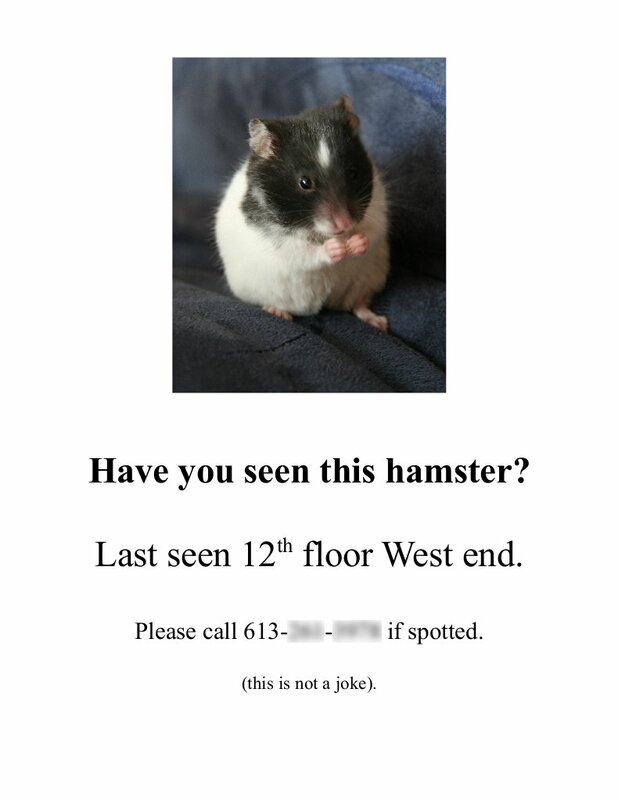 Sure enough, he had the hamster. He rescued it from tenants who were going to stomp it! The amazing part is that Oreo had made it from the twelfth floor down to the eleventh, and was on the opposite end of the building! The cage is being taped shut now. It's hard to believe that it's September already, and that back-to-school happens tomorrow. Before it's all over, Labour Day offers one last chance to reflect on summer, spend time with family and friends. This year, as every year, the time was spent at Algonquin Park with people I've known my whole life. 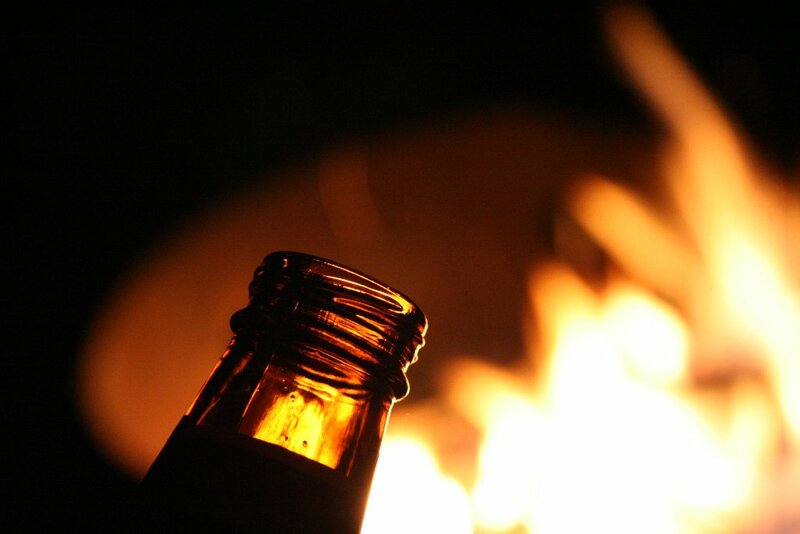 There was beer, great food, campfire, and fun all around. The only thing missing was weather. It was cold, windy, and rainy all weekend. That would destroy many gatherings, but it did not hamper spirits at this one. Though I was quite exhausted from the camping events, I still drove my brother down to Waterloo for university today. A trip there and back in one day is quite unpleasant.